As if to hammer home his credentials as an erratic foreign football club owner once and for all, Leeds chairman Massimo Cellino has dropped last season’s first-choice goalkeeper Paddy Kenny for having an “unlucky” date of birth. 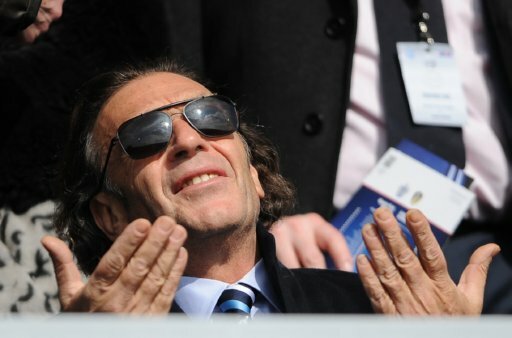 Like any sane and rational human being, Cellino is incredibly superstitious about the number 17 – even going as far as to remove the no.17 seat at previous club Cagliari and replacing it with 16B. The final nail in the coffin came when Cellino discovered that Kenny was born on May 17th. Indeed, he immediately instructed Leeds’ new head coach, David Hockaday, that Kenny was to be left behind while the rest of the squad flew out for their pre-season tour of Italy – adding that Kenny is to never play for the club again on his watch. Oh yes, Cellino is also mortally afraid of the colour purple. “In a recent interview, he remembered that victory and put it down to him asking the club’s supporters to wear the dreaded purple to the game. Just a word to the wise, Massimo: if you’re making Vincent Tan look calm and reasonable, you’re probably doing it wrong. I think it’s maybe because he’s our 2nd highest earning player……..he’s 36 and he’s fat. Although it could be because he is 17 stone!!! also coming back looking like shaun ryder after a 2 week all inclusive is probably the main reason for getting rid.